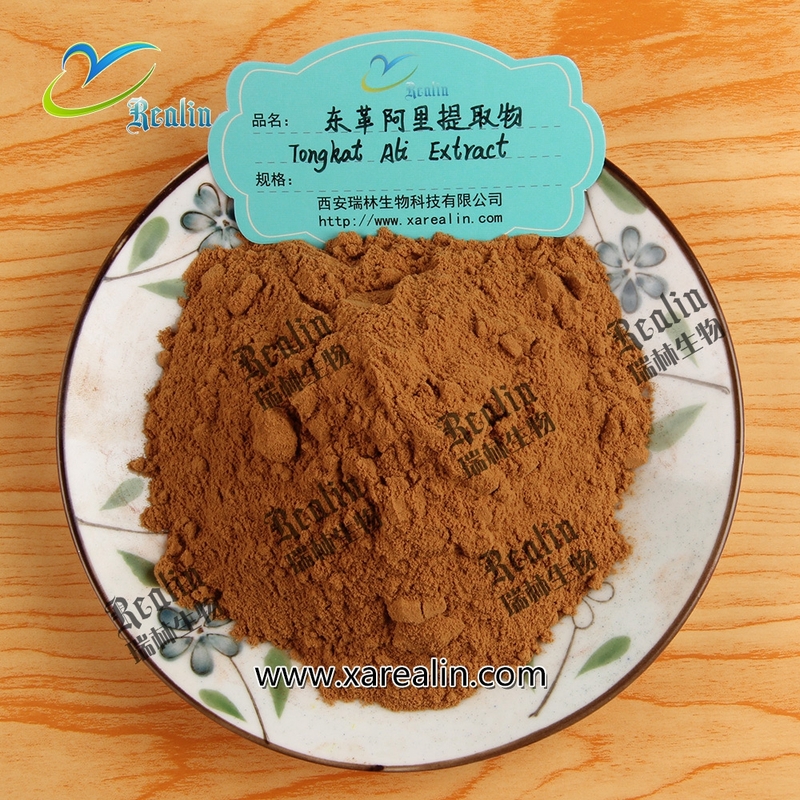 Tongkat Ali Extract （Eurycoma Longifolia Extract Powder） is a popular folk name for Eurycoma longifolia, a medium size slender tree reaching 10 metres in height. The name Tongkat Ali means “Ali’s walking stick.” Another folk name for the plant is Longjack. Tongkat Ali is native to Malaysia, lower Burma, Thailand, and Indonesia. The root is employed as a traditional remedy for the treatment of malaria, high blood pressure, fevers, fatigue, loss of sexual desire, and impotence.